This year, I've decided to take part in the #take12trips challenge, which you can read more about here. So, I thought I'd share with you my first trip of 2016! Determined not to get caught up in the usual disappointing and expensive New Year's Eve night out, my friends and I decided to do something a bit different this year. We packed up our warmest clothes and travelled through what turned out to be pretty stormy conditions to a remote cottage in the depths of Snowdonia. For those of you who aren't familiar with the area, Snowdonia (named after Mount Snowdon) is a rural area of West Wales. It features some of the most beautiful scenery in the UK, not to mention an awful lot of history. If you're a fan of castles and mountains, you'll love Snowdonia. The cottage we stayed in, I should probably mention, belongs to my parents. It's called Little Haven, and is part of a small collection of cottages and campsites called Graig Wen. For most of the year it's let out (and actually get's pretty booked up! ), but we manage to have a stay every few months or so. 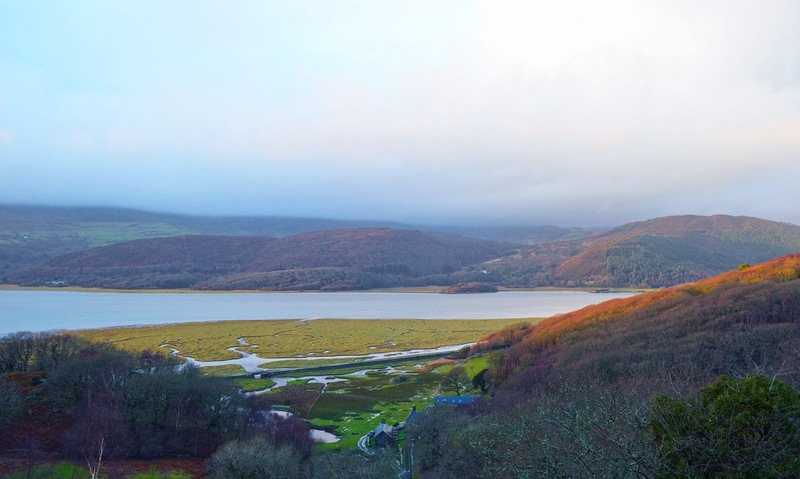 It lies between Cadair Idris (a mountain and a favourite amongst walkers) and the Mawddach River Estuary, not far from the towns of Dolgellau and Barmouth. The area has also become something of a hub for adventure sports in recent years. 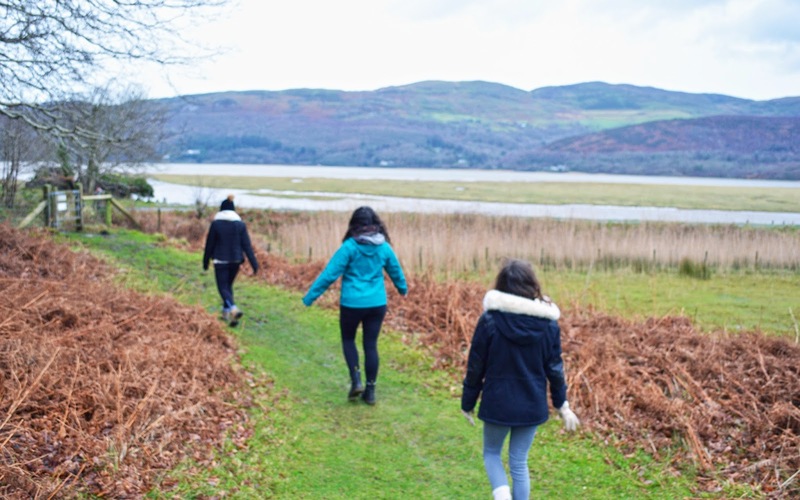 It's been popular with walkers and mountain bikers for a long time, but the opening of attractions like Surf Snowdonia, the first man-made surfing lake of it's kind, and Zip World, which features the largest zip line in Europe, have helped to solidify Snowdonia's status as a world class area for outdoor activities. Another such attraction is Bounce Below; a huge network of trampolines, tunnels and slides, suspended in a disused slate cavern. It sounds like a crazy idea, but believe me, it's SO much fun. And definitely not just for kids. The caves are also illuminated with changing neon lights, just to make the experience even more surreal! Since Bounce Below is underground, and therefore not weather-dependent, we decided it was pretty much top of our agenda of things to do during our trip. We went on the Saturday (2nd Jan), and I was surprised to find out that all their sessions that day were full! Luckily, we'd booked in advance. I wasn't sure if this would be necessary in the winter, but I guess it was during the holidays. If you're hoping to go in the summer, I'd advise booking waaay in advance. We stayed in on New Year's Eve, though it was by no means a quiet one! Characterised by prosecco, cava, sparklers, singing, more cava, boardgames, and dancing outside at midnight, this was one of my favourite NYEs ever. I'm not saying I'd absolutely, categorically never go out on NYE again, I just think it's so much nicer to get away from the crowds and spend the night with friends and/or family, and not have to worry about drinks being ridiculously expensive, or the queues for everything being exhaustingly long. We still got dressed up, of course - I don't miss an excuse to wear a nice dress! After a long lie in on New Year's Day, we decided to go for a walk down to the estuary. It was a bit breezy, but fortunately we avoided the rain. I'm not sure how well it's come across in the photos, but the landscape really is so beautiful, even in harsh weather conditions. Later on, we went for a NYD meal at The Cross Foxes, a lovely modern hotel, bar and restaurant. There are loads of fantastic places to eat in the area, but we chose this one because it was fairly close to the cottage, plus I'd eaten there before and already knew that the food was delicious. If you're ever in the area, I'd also recommend the award winning Indiana Cuisine in Fairbourne, and Dylan's in Criccieth, which is a stunning building with the most incredible views. All in all, I'd say the trip was a success! I'd spent a lot of time beforehand worrying about everyone getting there - one of my friends had the longest train journey EVER travelling all the way from Exmouth, yikes! But in the end, I think all our plans went without a hitch. As you can probably tell, I really love Snowdonia, and would highly recommend it to fans of gorgeous scenery, adventure sports, and history (which I haven't really touched on here - another time maybe). I'm also thinking of branching out and writing more travel-related posts (though perhaps not as rambling as this one), and I'd love to know what you think of that idea! Let me know below. Sounds like y'all had a good time. Lovely photos! I wish I had friends who were adventurous as yours. Ha! Beautiful photos! Hope you had an amazing day!! Sounds like a wonderful trip! The photos are amazing...I'm loving the landscape there! This is such a lovely idea for the new year - so different! IT looks likes you had an incredible time!